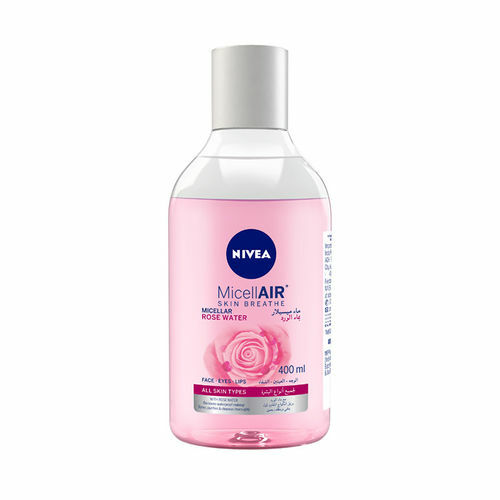 Discover the magical power of NIVEA MicellAIR Skin Breathe Micellar Rose Water. This all-in-1 make-up remover gently and effectively removes makeup, cleanses and refreshes without leaving residue on your skin. No rinsing. No perfume. No rubbing. Gentle for eyelashes. How it works: The micelles work like a magnet to efficiently catch make-up, dirt and sebum. The gentle yet effective formula can be used on face, eyes and lips. Result: Your skin is perfectly clean, soft and supple, without any residue left. Ideal for healthy looking skin that can breathe.